Monaco is the most luxurious and glamorous Principality in the world. So you want to arrive in style, right? I was lucky enough to attend the Monaco Yacht Show this year! I started thinking about the best ways for my readers to arrive in Monaco whether it be for the Yacht Show, Grand Prix or other events. Surely the ultimate in Limousine luxury! Here I am pictured below with driver Jonathan who was so professional. The Audi A8L is the ultimate driving experience, but you can choose from a range of the best limousines. 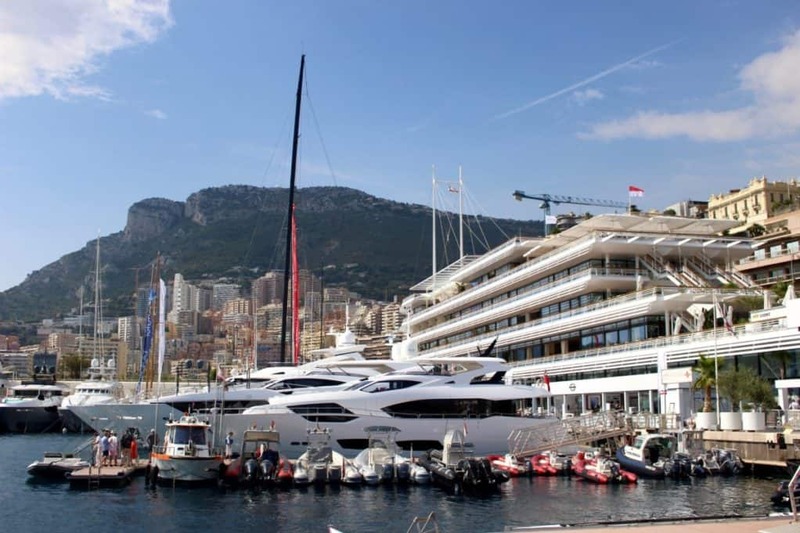 Monaco is small and can be difficult to navigate around and park during big events such as Monaco Yacht Show which is held every September or Monaco Grand Prix. A luxury car and driver will take the stress out of your journey, especially with such a friendly company as The Driver Co. 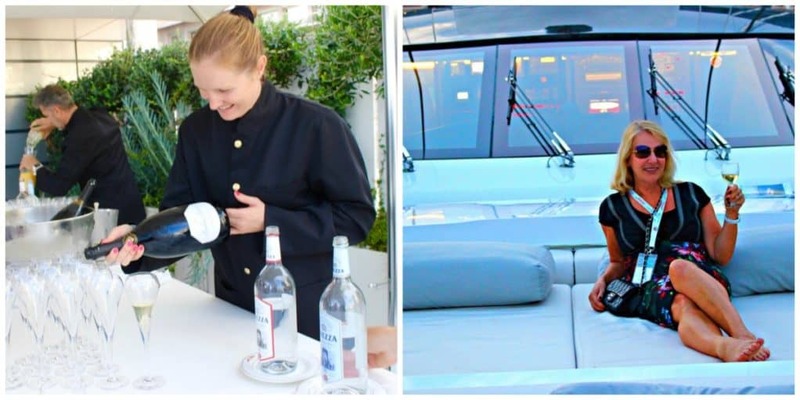 The Monaco Yacht show hosts the best events and parties, which means limitless Champagne and fine wine. Another very good reason to get a car and driver, no drink driving worries! I would love to arrive at The Monaco Yacht Show in this magnificent car next year. 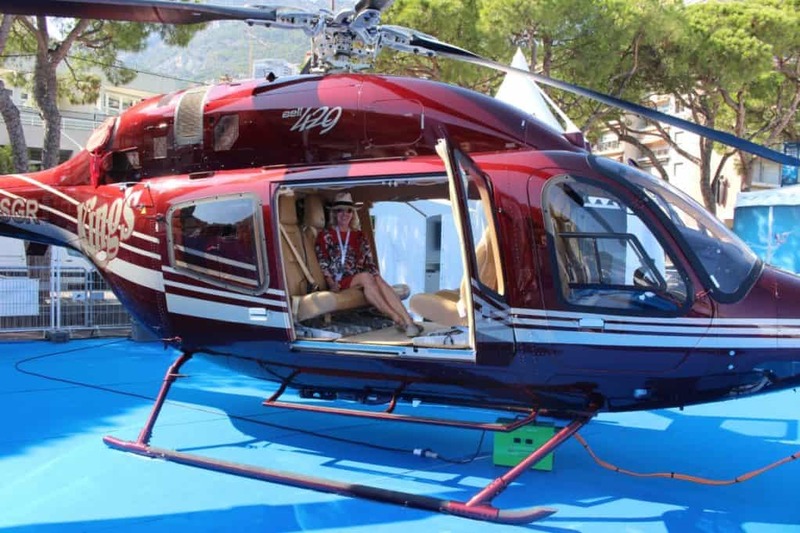 The Monaco Yacht Show was so action packed with events and parties, I didn’t get time to take up an invitation to arrive in style by Helicopter! That will have to wait for my next visit to the Principality and I will share with you very soon! PHOTO: Lamborghini or a Submarine? 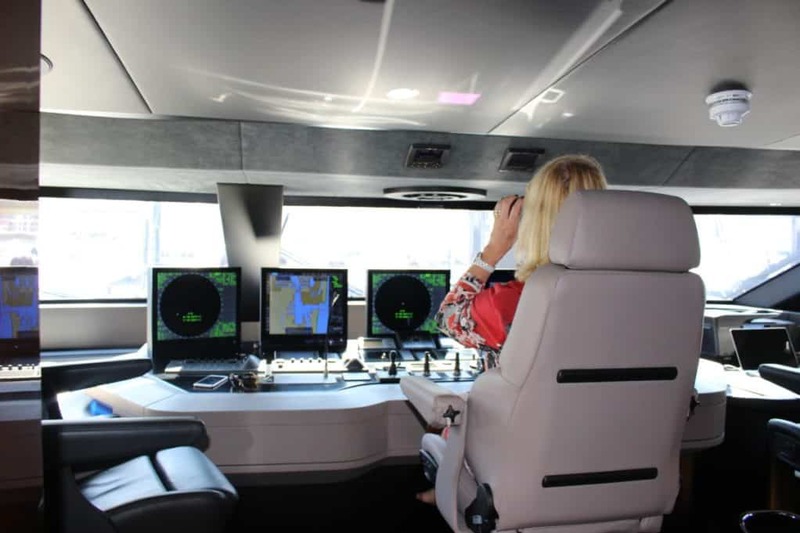 The Monaco Yacht Show isn’t just about the most magnificent yachts in the world. You can find so many super luxe things to check out and even buy, if you are lucky enough! While we are thinking about arriving in style, how about a Lamborghini or even your own Submarine! Top that! I really want a Lamborghini now, so much nicer and more comfortable than they were in the old days. Previous Post 5 Top Favourite Places to Visit 2019! Next Post Where to go in Jordan – My Solo trip to a magical land!